OnePlus to launch OnePlus 7 smartphones on May 14 that is likely to include OnePlus 7 and the rumoured OnePlus 7 Pro as well as a 5G variant. OnePlus CEO Pete Lau has made it obvious that the company is not working on a foldable device for now, despite the shift in technology that led to the launch of the Galaxy Fold and Huawei Mate X, but what is trending right now is the 5G smartphones that the company showcased during the MWC, this year. Other than the OnePlus 5G enabled smartphone the company is expected to launch two more phones this year. Reports suggest that all three smartphones will most likely be unveiled on May 14 making it less than a month. Now the company CEO has tweeted to shed some information on the next OnePlus device launch date. Pete Lau tweeted that the OnePlus next device announcement would be made in a couple of days, i.e April 17 to be precise and acknowledged the hype around the next OnePlus decide and check back to see the post this Wednesday, which means we could expect the next OnePlus device very soon. As far as the specs are concerned, the upcoming OnePlus device will be powered by Snapdragon 855 processor along with Qualcomm’s X50 modem for the 5G smartphone. 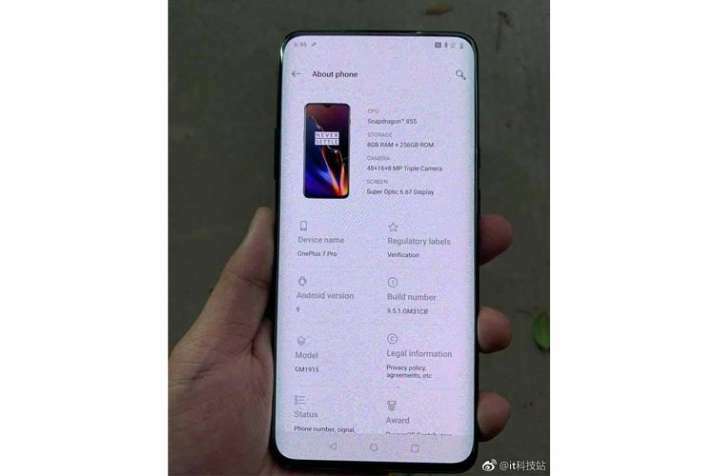 Earlier reports have suggested that the upcoming OnePlus smartphones will come with a full screen no notch display backed with selfie pop-up camera along with a triple rear camera setup that could feature a 48MP primary sensor. Given all the hype around the upcoming OnePlus smartphones, we can expect the launch date of the OnePlus 7 and the Pro version to be revealed on April 17.